A man facing a number of criminal charges, including allegedly forcing a female acquaintance at gunpoint to leave a residence on Old Tracy Ferry Road and accompany him, was back in Baxter County Circuit Court Thursday.Thirty-six-year-old Eli Weedman has a long list of prior arrests, criminal charges, convictions and stays in both the state prison system and the Baxter County jail. At one point, according to the Arkansas Crime Information Center, Weedman had 17 previous felony convictions on his record. Weedman appeared during Thursday's court session in a white prison uniform. He is an inmate at the North Central Unit of the state prison system in Calico Rock serving a sentence on an earlier conviction. In three current criminal cases, Weedman is charged with kidnapping, aggravated robbery, aggravated assault, being a felon in possession of a firearm, possession of controlled substances, possession of drug paraphernalia, criminal mischief and being a habitual offender. Thursday's court session was to be the final hearing for Weedman before his scheduled jury trial during the week of Jan. 22nd. Weedman is now represented by Deputy Public Defender Sam Pasthing. Weedman has said he has yet to meet with the attorney and efforts to contact Pasthing have been met with no response. Pasthing told the court Thursday he had recently taken the public defender job and has not had a chance to visit with Weedman. 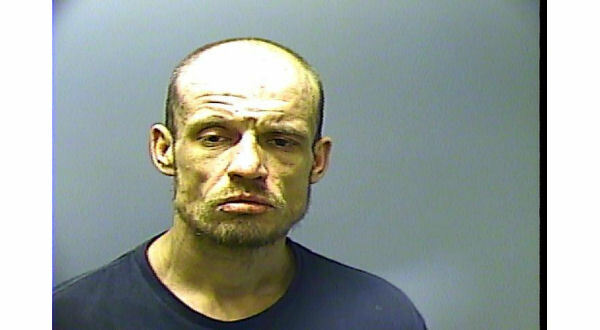 He asked Weedman be held over in the Baxter County jail for several days before being returned to prison so he could meet with his client. Weedman, acting as his own attorney, has also filed a motion to disqualify 14th Judicial District Prosecuting Attorney David Ethredge from participating in his cases. In the latest batch of paperwork Weedman has sent to be filed, he refutes information gathered by investigators who looked into the incident on Old Tracy Ferry Road and the specific charges brought against him by the state. Most of the major charges currently filed against Weedman stem from an incident in mid-May. Weedman and a male companion, identified only as "youngblood," were alleged to have come to the residence on Old Tracy Ferry Road where the man kicked the front door of the house open. In a Baxter County Sheriff's Office report on the events, 24-year-old Joseph Rowden, who was at the house when the incident took place, told investigators Weedman had forced Jayme Marie Waldrip, who was said to live at the residence, to leave with him at gunpoint. According to court records, when the two men entered the home, Weedman demanded to know where Rowden was and began yelling for him to show himself. Rowden eventually came out of a closet where he was hiding and Weedman is alleged to have pointed a gun at him. According to investigative reports, Waldrip struggled with Weedman over the weapon. During the tussle, Rowden was reported to have fled out the back door of the residence to get help. Weedman was accused of taking Rowden's backpack, cellphone and wallet when he left the house with Waldrip. In a statement purported to have been handwritten by Rowden Oct. 26th last year, he recants an earlier statement he made to investigators in connection with the incident. The statement was included in the most recent package of paperwork Weedman has asked to be filed in his court cases. Rowden writes he was intoxicated on the day he made statements to investigators and wanted to withdraw what he had said. In his statement, Rowden denies being robbed by Weedman or that Weedman had a weapon. Rowden writes he was only saying what he had been told to say by Waldrip. Weedman has denied forcing Waldrip, whom he describes as a friend, to accompany him. He says he merely rode with her as she drove to work at a Mountain Home motel. Waldrip told investigators a different story when they talked to her about the incident. She alleged she was convinced Weedman would harm her if she did not go with him. She said he had threatened her with bodily harm the day before the incident. In her statement to investigators, Waldrip said after the pair left the house on Old Tracy Ferry Road, she had taken Weedman to a residence along County Road 302. She reported her vehicle overheated, and Weedman allowed her to call her supervisor to pick her up and take her to her workplace. Police received a tip as to Weedman's whereabouts the day after the incident. He was taken into custody at a house along South Street in Mountain Home. During the arrest, officers allege they located various articles of drug paraphernalia and prescription pills. Weedman contends it was his 27-year-old sister, Samantha, who lived at the South Street address. He says he was falsely accused of being in possession of drugs and drug paraphernalia found in the house and said those items belonged to his sister.